This week we’re testing you on what you’ve learned in the first twenty episodes of season 3. 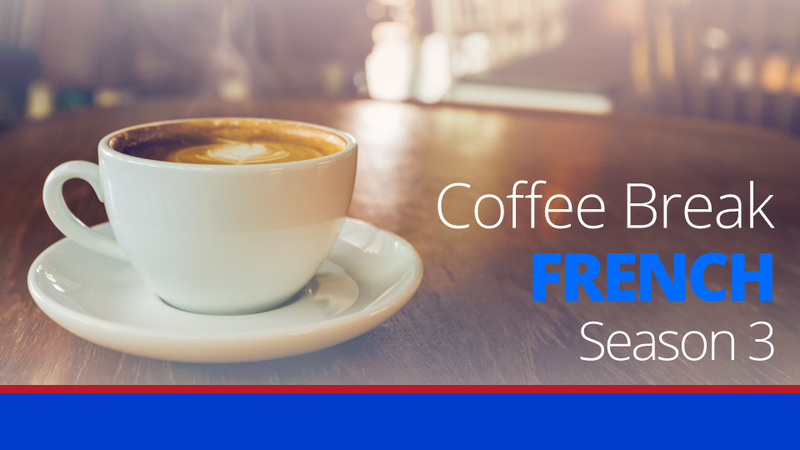 We’re providing you with a series of sentences in English to translate into French, and you’ll be encouraged to think of the grammatical constructions and vocabulary which have been covered in the texts of Veronica, Alf and Katie. You’ll have 20 seconds to work out each translation and then Mark will talk through the translation and talk about the language contained in the example. 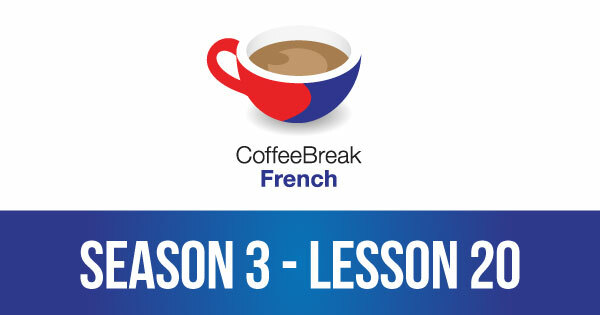 Please note that lesson 20 of Season 3 was originally known as lesson 320 of Coffee Break French. We have renumbered the lessons of each season as lessons 1-40 to make things more simple for our listeners. In the third sentence you refer to “faire de l’exercice” but my dictionary says that “exercice” is masculine. Shouldn’t it be “faire du exercice” ? Hello Susan. When a masculine partitive article, i.e. du (de + le) is followed by a word beginning with a vowel, it becomes ‘de la’ instead in order to facilitate pronunciation. Same happens with possesive pronouns. A possessive pronoun when used with l’école(f) will be referred to as ‘mon école’ and not ‘ma école’. This also happens with certain masculine adjectives like beau and nouveau which turn into a ‘masculinised’ version of their feminine form instead. Eg. un bel ami, ma nouvel école. *Notice how the ma for école is retained when the does not immediately precede école 😉 . Hope this helps. Sorry for this double post, but I made a slight error and coudn’t find a way to edit. Here’s my correction. When the masculine partitive article du is followed by a word starting with a vowel it becomes de l’ as in de l’exercise and not de la as I stated earlier. It should have been obvious before as well, but just to be absolutely certain. Hope this clears it up. Thanks for answering my question and for giving such a helpful explanation! You are welcome but I actually noticed another error I made. It would always be ‘ma nouvelle école’ and not ‘nouvel école’ since école is a feminine noun. I’m such an idiot! How I wish one could edit their posts!